We Have 398 Models. Need help finding your model number? 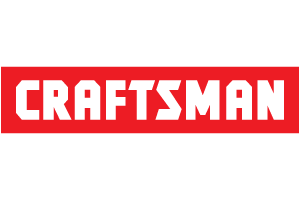 This is a genuine OEM replacement part sourced directly from Craftsman. The thermal relief valve regulates the amount of pressure in the line at any given time. Once the pressure in the line reaches a certain level the relief valve opens to relief the pressure. The valve allows the extra pressure to bleed out of the line instead of building up. The thermal relief valve is a safety mechanism that prevents serious damage to you or your equipment. You will need basic hand tools to complete this installation. This is a genuine OEM replacement part sourced directly from Craftsman. This part is commonly used in pressure washers. This outlet tube is what connects the pump in the pressure washer to the hose. The outlet tube is made of aluminum, and the o-ring is made of rubber. The outlet tube is easy to install, one end threads onto the pump, the other onto the hose. You will need a wrench to ensure the replacement part is secure. This is a genuine Craftsman replacement part. The chemical injector is a valve that injects chemicals into the water stream of your pressure washer. This kit has everything you need to replace the chemical injector on your pump. You would use this kit if you were looking to add a chemical, such as soap, into the spray. To use the chemical injector you place a chemical hose kit on the injector, and that hose is placed in the chemical you are using to clean with. The chemical injector is easy to install, you place the ball inside the injector, followed by the spring, and then you thread the injector onto the pump. A wrench or socket is required to ensure the part is secured on to the pump properly. When you care adding chemicals to your spray make sure you are using the lowest pressure nozzle.